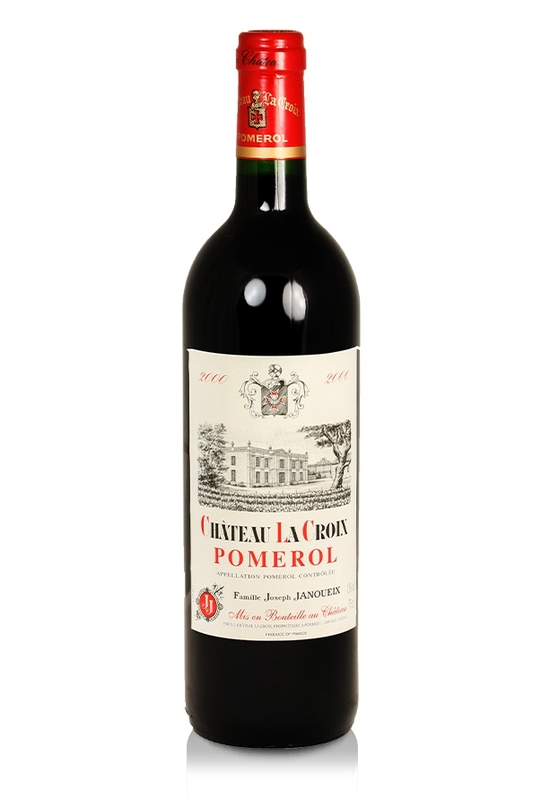 Château La Croix, 2000, is a red wine from the right bank Pomerol appellation of the Bordeaux wine producing region. The Janoueix family's largest estate in the Pomerol at 10 hectares the varied terroir of the vineyard is reflected in the division of grape varieties with 60% under Merlot vines for its soft and rounded character, 20% Cabernet Sauvignon giving elegance and structure and the remaining 20% given over to Cabernet Franc to lend further structure to the finished wine. Traditional Bordeaux wine-making tecjniques are employed at this estate. 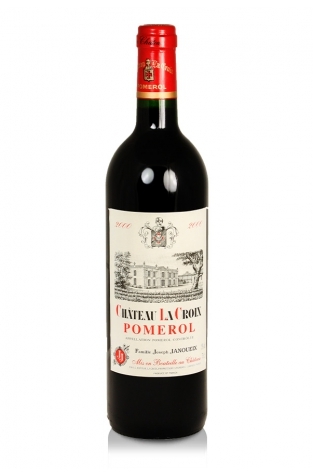 In its youth this is a densely structured wine with pronounced tannins which repays careful cellaring in order for the wine to develop and soften yielding typical blackcurrant and wild red fruit flavours with a typical cigar-box nose. The wood, from old barrels, is very well-integrated and contributes to what is a very harmonious wine. Drinking well now and will continue to do so for another 5 years or so. Family-owned since 1898 this wine provides a really good price/quality ratio for this appeallation.